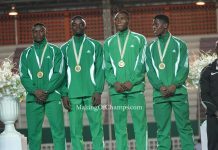 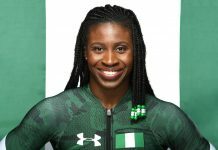 Nigeria will be represented by a record 86 Athletes when the Confederation of African Athletics (CAA) U18 and U20 Championships get underway in Abidjan, Cote d’Ivoire, from April 16th to 20th, going by the list released by the Athletics Federation of Nigeria (AFN) on Monday, March 25th. 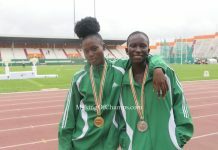 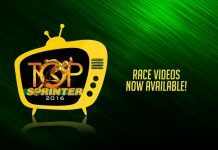 According to the list, 42 athletes will compete in the U18 category, while 44 athletes are expected to battle for honours in the U20 category. 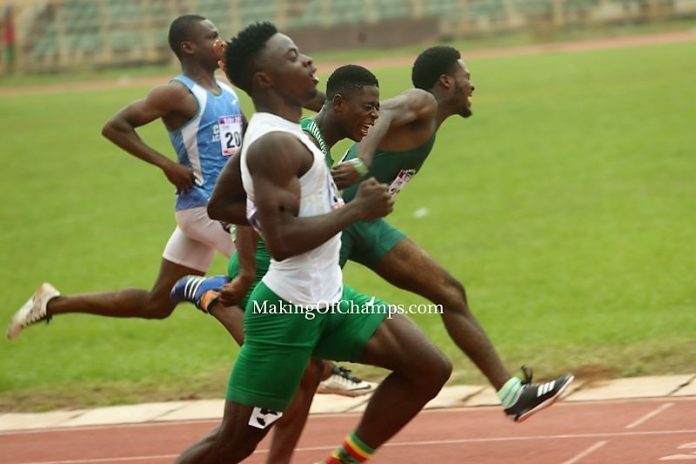 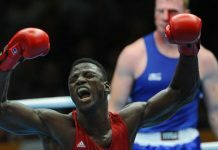 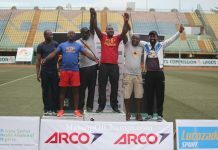 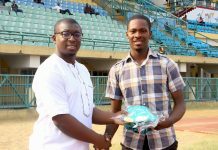 In a chat with Making of Champions, AFN Technical Director Sunday Adeleye stated that the forthcoming championships would be a great avenue to expose most of the athletes on the team to international competitions. 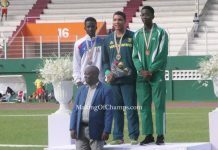 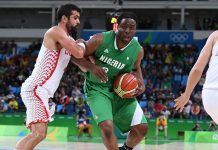 He said, “I always said we would take a big team to the African U18 and U20 Championships because it will serve as a good exposure for these athletes and preparation for the next Olympics. 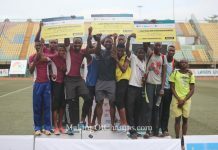 This competition is going to change the lives of many of them, and this gesture also shows that we believe in them. 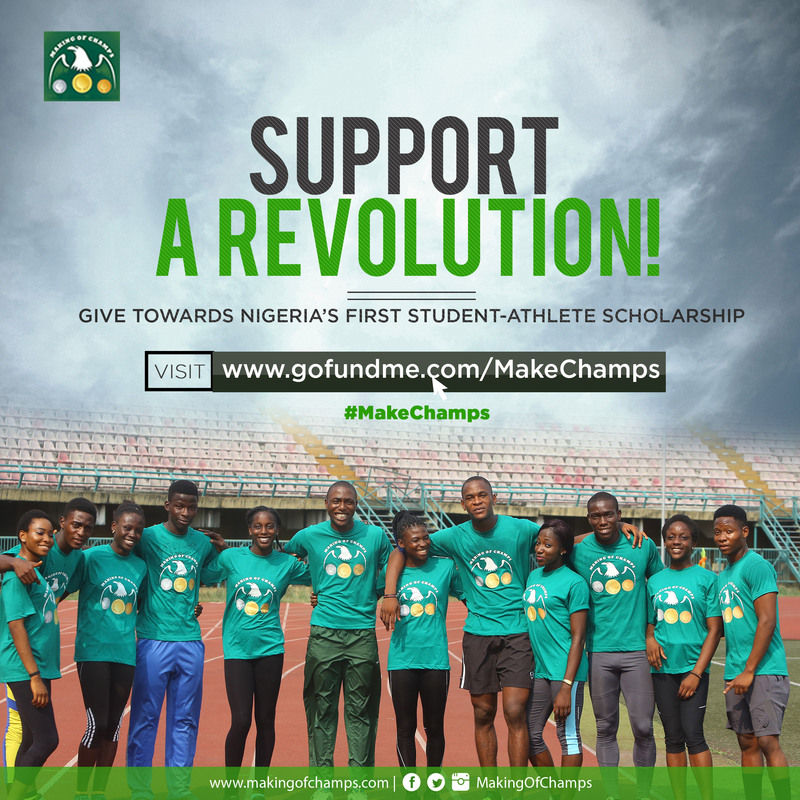 We believe that we can get material for the 2020 Olympics in Tokyo from here, so we are not ruling any of them out”. 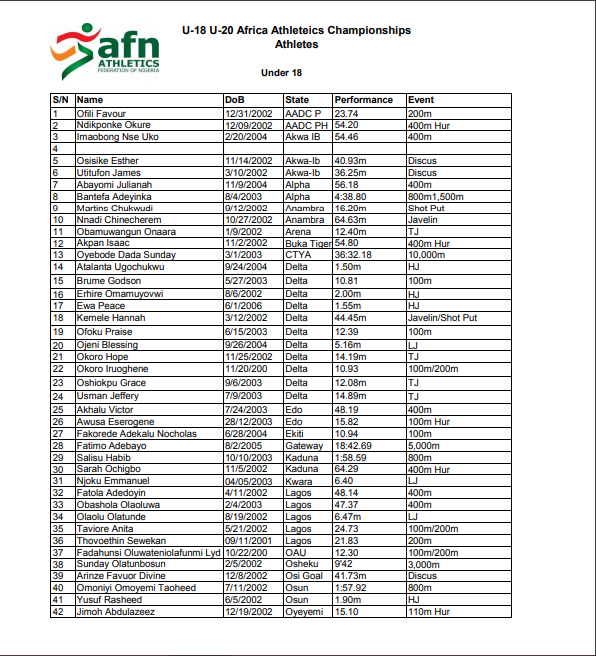 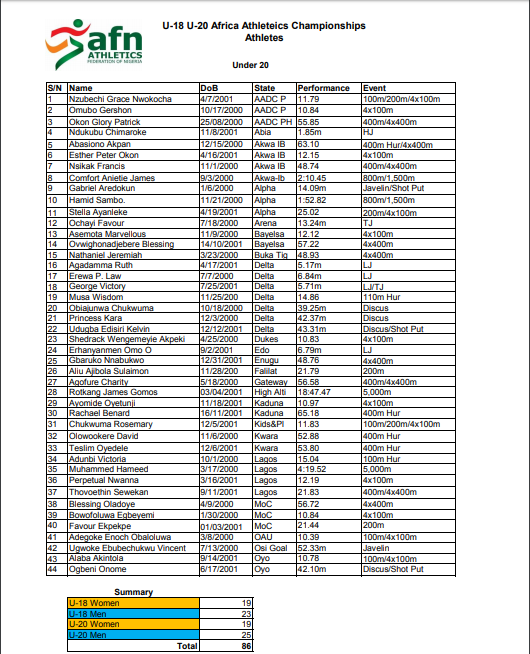 The U20 category on the other hand is made up of 19 women and 25 men, bringing the total list to 86 Athletes.